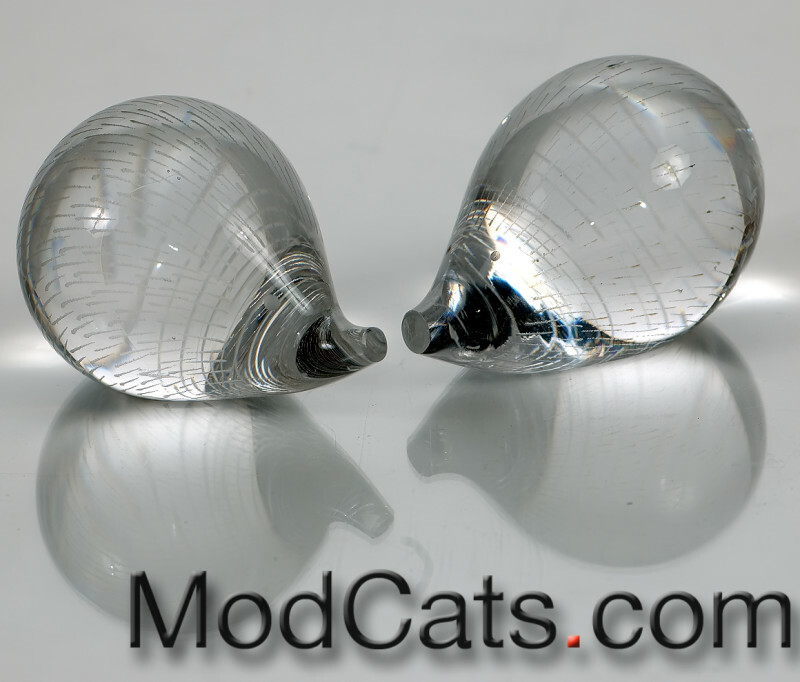 Small etched crystal glass hedgehogs designed by Vicke Lindstrand for Kosta (Sweden). One has base etch signed Kosta LG 329 (dating it to between 1958 and 1959) the other is more recent simply signed Kosta. Condition: Small chip or open bubble on to very top of earlier Hedgehog's back - other is perfect.